What is the appropriate pressure for my tires? 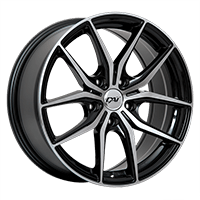 Every car manufacturer approves and certifies a pressure for the tires according to weight, size and performance criteria. You can find those recommendations in the gaz trap, in your owner’s manual or just next to the driver’s seat, inside the door. When should I check the tires pressure? It is important to verify the pressure when the tires are cold and they did not run more than 3 or 5 kilometers in the last 2 hours. High temperatures adds up to 0.3 bars. First, if a tire is deflated, even just a bit, it overheats and can explode at any moment. The tread wear will not be regular and your gaz consumption will increase. 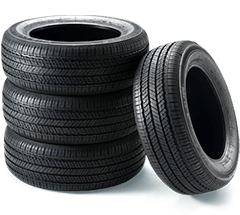 On the other hand, if a tire is too inflated, the tread wear will be done at the middle of the tire, making it wear a lot faster and more vulnerable when driving on rough or bumpy roads.